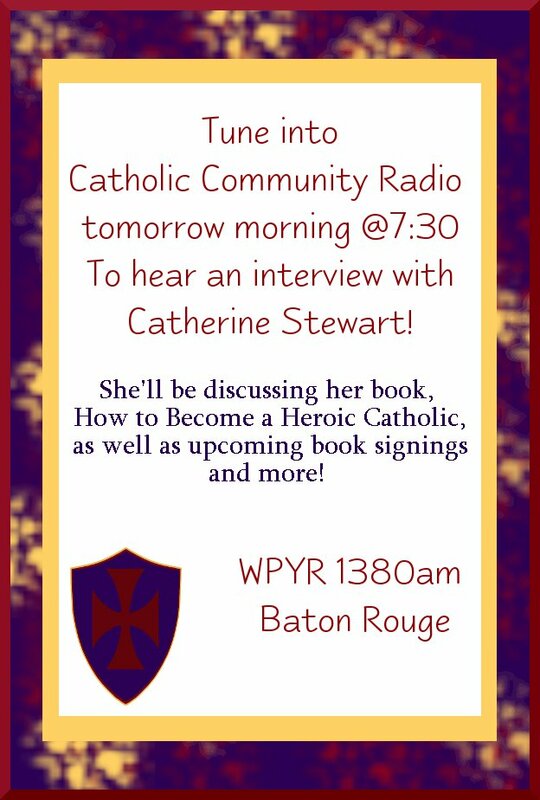 Tomorrow morning, bright and early at 7:30, I’ll be Catholic Community Radio – a local radio station – discussing the book! Follow link below to be able to listen live or tune in at the station listed! Isn’t that cool?! I’m excited. Also, since Christmas is coming up in just over a month – I’m running a sweet sale on hard-cover books! Just $20 each, plus shipping, and you can get them signed with a personalized message! God is working amazing things! How much more awesome can it get than to be able to do what He is calling me to do? I love it. Keep up the prayers – and I pray for y’all all daily. Some exciting things have happened this week! 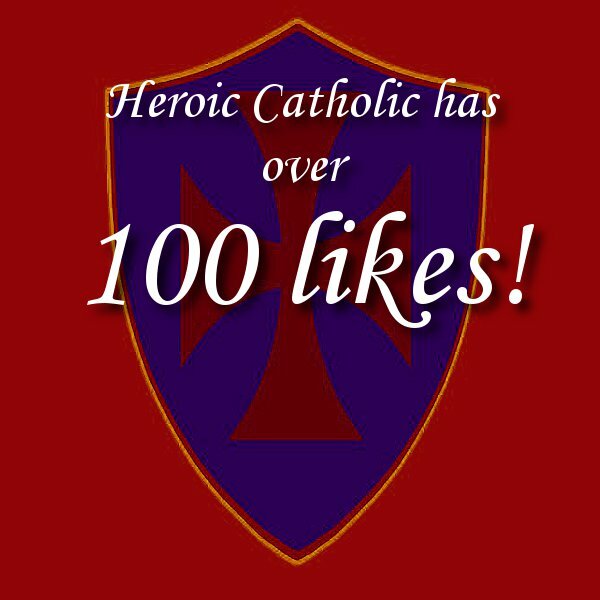 From a book launch party on Sunday, to reaching a major milestone in the realm of Facebook….things have been going well here at Heroic Catholic Central. 😉 All praise and glory to God! Seriously. He’s the one making any of this possible. Y’all – I’m so excited about that! From Monday to Now I’ve had close to 50 new likes. This is amazing! She couldn’t wait to get her hands on a copy! And last, but not least, my parish’s bulletin for this week features an article that I have to say is pretty sweet. Having the prayers, love, and support from my home parish means a lot to me. 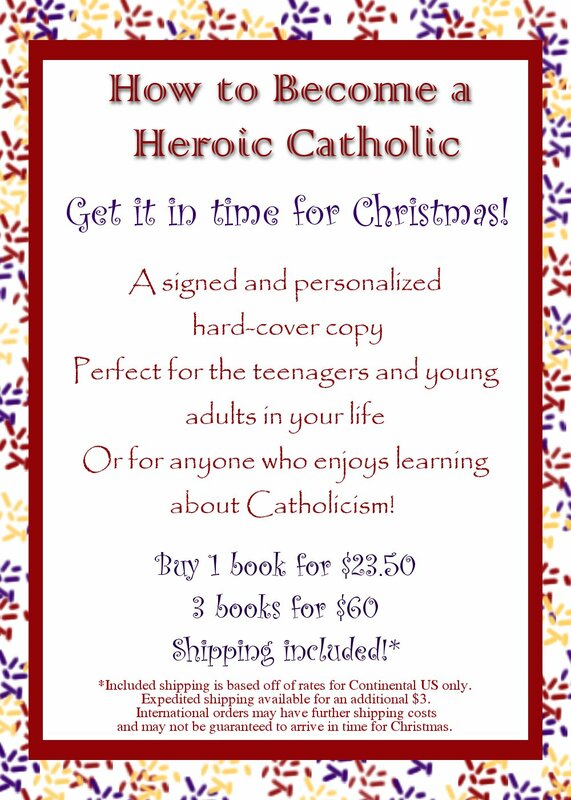 I’ve grown up in St. Patrick parish, I teach 8th grade religion there, help out with the (amazing and beautiful) Children’s Choir…it’s a home to me. Our God is an Awesome God. One who knows our needs, and gives to us the strength and joy to do as He asks. Every night I give to Him all that I am, all that I have, all I can offer. In return – He blesses His servant and grants peace and joy in the heart of His child. Thanks be to God. Alleluia. Yes, I believe. Amen. Today is the Solemnity of All Saints. It’s a Holy Day of Obligation usually – this year, due to it falling on a Saturday, it is not a Holy Day of Obligation – however it is still a Holy Day and special. But why on earth do we have a whole day dedicated to the Saints? Why do we dare to honor them and ask them to pray for us? First of all, then, I urge that supplications, prayers, intercessions, and thanksgivings be made for all men, for kings and all who are in high positions, that we may lead a quiet and peaceable life, godly and respectful in every way. This is good, and it is acceptable in the sight of God our Savior, who desires all men to be saved and to come to the knowledge of the truth. For there is one God, and there is one mediator between God and men, the man Christ Jesus, who gave himself as a ransom for all, the testimony to which was given at the proper time. He opens up that letter asking for prayers to be offered for everyone. He is telling us to pray for each other. So why then does it become an issue when I ask someone in heaven to pray for me? If we’re in heaven with Christ, can’t we still pray for people? He told his brothers that after he died on earth he would be able to help them more from heaven. If the Saints can’t help us, why would he say that? The Saints want to help us here on earth. We can ask them to pray for us, just like I’d ask you to pray for me. They are our brothers and sisters in heaven and they want to lead us to eternal life with Christ. I pray to them, or ask them, to give me guidance, and to help me be like them. They help us find our own paths to holiness. The Saints are role models for everyone, and come from all walks of life. We pray for them to intercede on our behalf, or on a friend’s behalf, to God. They are our friends. We do not worship them. 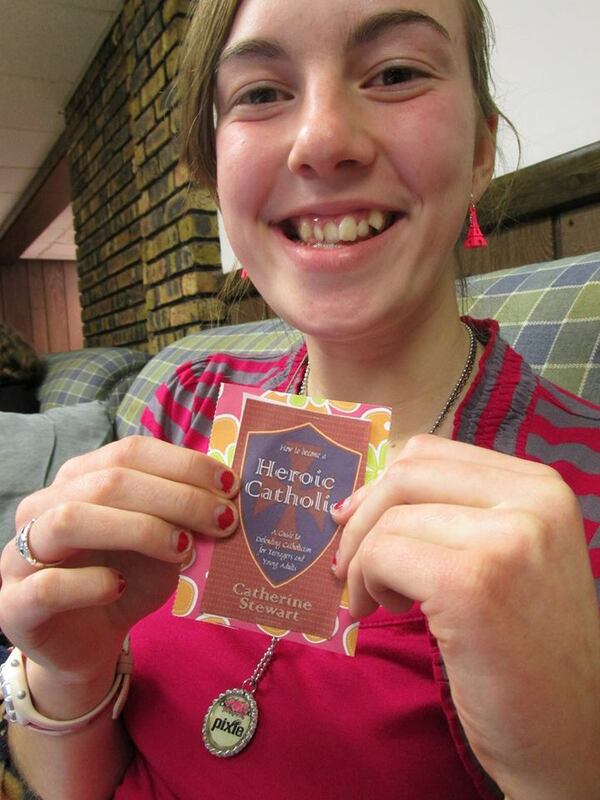 We show them honor because they are beautiful examples of holiness and because they are already in heaven with Christ. Even when the Church was still very new, she was teaching that we can ask the Saints to pray for us. 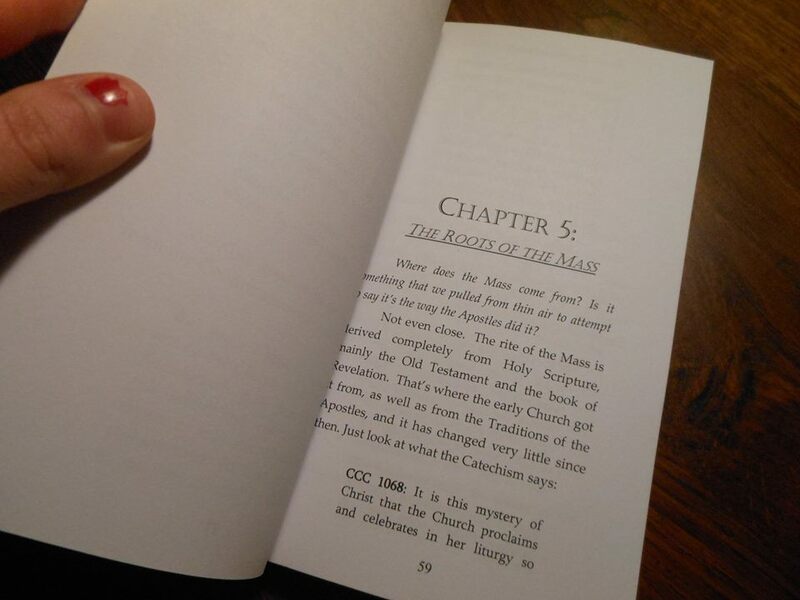 Already read it? Want to post a review?